Such a fun project with art directed by Amanda Soto at the Washington Post food section. 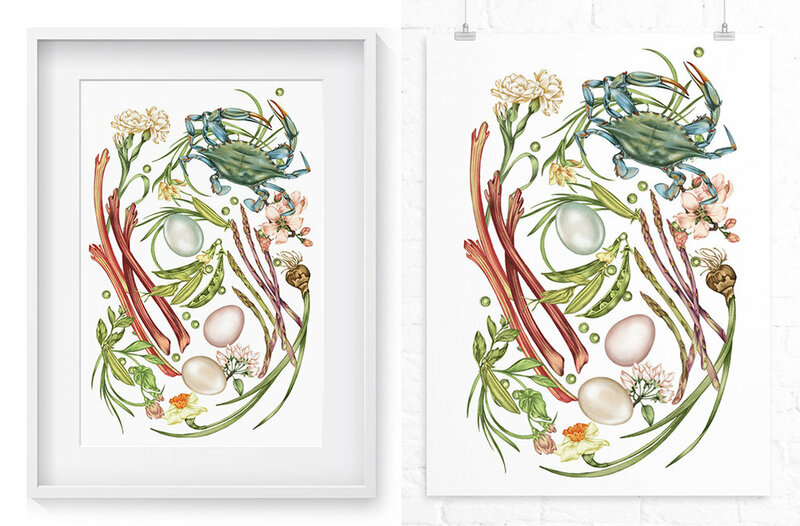 The artwork was turned into a full cover poster cover for the Washington Post's food section featuring a guide to cooking the 5 food harbingers of Spring (asparagus, rhubarb, peas, eggs, Blue crab. 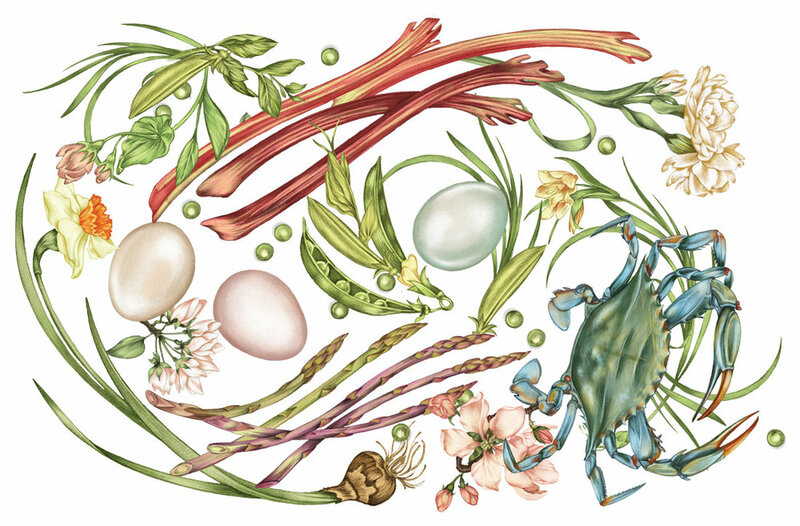 The entire section is packed with stories and recipes to kick off the season in time for Easter and Passover curated by the amazing Julia Turshen.